Isaiah wrote around 700 B.C. during the expansion of the Assyrian empire. Though the predictions in this chapter are initially fulfilled after the return of the Jews from exile in Babylon with the decree of Cyrus in 538 B.C., there is a dual fulfillment. These predictions are a type that ultimately points to events surrounding Israel’s war with Rome in the first century A.D. and its aftermath. 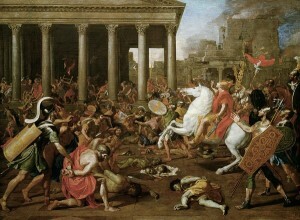 After the Jewish War and the subsequent Bar Kokhba Rebellion, Jerusalem grew to become an almost exclusively Christian city which enjoyed a level of peace seemingly unrivaled in its recorded history.1 Having enjoyed great peace and prosperity during the thousand years between the Jewish War and the Crusades, Israel became a dark earthly shadow of heaven. For the complete fulfillment of this chapter in the first century see the following Preterist Commentary on Isaiah 65. The Siege and Destruction of Jerusalem by the Romans in A.D. 70 fulfills Isaiah 65:6-7. 8 This is what the Lord says: “As when juice is still found in a cluster of grapes and people say, ‘Don’t destroy it, there is still a blessing in it,’ so will I do in behalf of my servants; I will not destroy them all. 9 I will bring forth descendants from Jacob, and from Judah those who will possess my mountains; my chosen people will inherit them, and there will my servants live. 10 Sharon will become a pasture for flocks, and the Valley of Achor a resting place for herds, for my people who seek me. I believe the slaughter mentioned in v. 12 is the Jewish War mentioned above. The church historian Eusebius records an exodus of Jewish Christians out of Jerusalem before the start of the war.3 These Christians fled to Pella and returned to Israel after the war in fulfillment of v. 9. 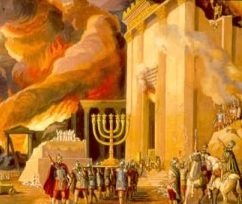 A Preterist Commentary on Isaiah 65:11-12: According to the Midrash, First-Century Israel was Plagued with Idolatry in Fulfillment of vs. 11-12. Rabbi Lakish then proceeds to list all the places the people of Israel worshiped idols like the secret places, the rooftops, the mountains, the fields and the streets. 13 Therefore this is what the Sovereign Lord says: “My servants will eat, but you will go hungry; my servants will drink, but you will go thirsty; my servants will rejoice, but you will be put to shame. 14 My servants will sing out of the joy of their hearts, but you will cry out from anguish of heart and wail in brokenness of spirit. 15 You will leave your name for my chosen ones to use in their curses; the Sovereign Lord will put you to death, but to his servants he will give another name. It is also possible that the new name of Isaiah 65:15 is Christian. 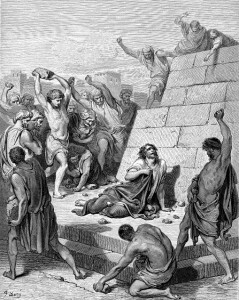 Prior to the war and the resulting destruction of the Temple, Christianity was called the sect of the Nazarenes and was one of the major sects of Judaism included alongside the Pharisees, Sadducees and Essenes. 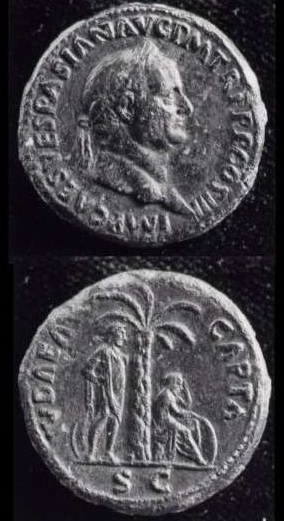 The term Christian was coined in Antioch in A.D. 42 (Acts 11:26). From there, the title gained popularity. Then after the destruction of the Temple in A.D. 70, the Jews could no longer practice the Law; and Christianity and Judaism became two entirely distinct religions. This event served to further galvanize the use of this name in public discourse. And as a result, this relatively new title is still used today to describe the followers of Jesus. After the destruction of the Temple in A.D. 70, the Jews could no longer practice the Law; and Christianity and Judaism became two entirely distinct religions. 16 Whoever invokes a blessing in the land will do so by the one true God; whoever takes an oath in the land will swear by the one true God. For the past troubles will be forgotten and hidden from my eyes. 17 “See, I will create new heavens and a new earth. The former things will not be remembered, nor will they come to mind. 18 But be glad and rejoice forever in what I will create, for I will create Jerusalem to be a delight and its people a joy. 19 I will rejoice over Jerusalem and take delight in my people; the sound of weeping and of crying will be heard in it no more. 20 “Never again will there be in it an infant who lives but a few days, or an old man who does not live out his years; the one who dies at a hundred will be thought a mere child; the one who fails to reacha hundred will be considered accursed. 21 They will build houses and dwell in them; they will plant vineyards and eat their fruit. 22 No longer will they build houses and others live in them, or plant and others eat. For as the days of a tree, so will be the days of my people; my chosen ones will long enjoy the work of their hands. 23 They will not labor in vain, nor will they bear children doomed to misfortune; for they will be a people blessed by the Lord, they and their descendants with them. 24 Before they call I will answer; while they are still speaking I will hear. 25 The wolf and the lamb will feed together, and the lion will eat straw like the ox, and dust will be the serpent’s food. They will neither harm nor destroy on all my holy mountain,” says the Lord. 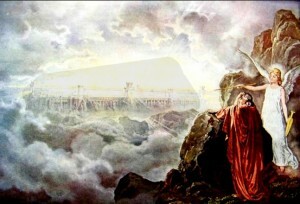 The new Jerusalem is described in language that is meant to intentionally point to both the peaceful bliss after war in addition to symbolically hinting at the Jerusalem in heaven. A Realized Eschatological View and Commentary of Isaiah 65:16-25:The New Earth . . . The new heaven and earth is also mentioned in Revelation 21:1. In Isaiah 65, the New Jerusalem is pictured in much the same way as it is at the end of the Book of Revelation.10 That being said, it is important to notice in v. 20 that despite the great joy and peace described in vs. 16-25, people still die in the New Jerusalem. 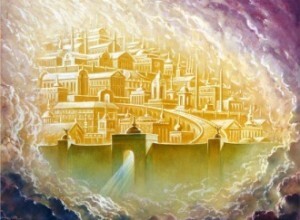 This is because the New Jerusalem is the church. But it is also post-war Jerusalem which grew to become a Christian city during the thousand years between the Jewish War and the Crusades. 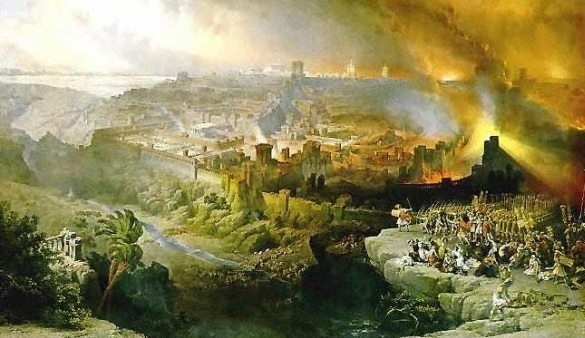 People still die in the New Jerusalem according to vs. 20 because these verses describe the state of church and that of Jerusalem after the return of the Jews from exile in the sixth century B.C. and the war with Rome in the first century A.D. After the war there is no more crying in fulfillment of v. 19; people do not die prematurely by sword, famine and plague in fulfillment of v. 20; and people can once again enjoy the fruits of their labor without having to worry about their possessions being seized as plunder in fulfillment of vs. 21-23. Depicted metaphorically as a wolf and lamb feeding together and a lion eating straw in v. 25, this post-war peace is described in hyperbole and metaphor in order to contrast the strife of war with the joy of peace. But I believe this use of metaphor and hyperbole has an additional purpose: It is meant to point to heaven. A Covenant Eschatology Interpretation and Commentary of Isaiah 65:25: People are often Represented by Animals in the Bible. 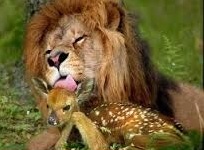 The Peace Between Animals in v. 25 is Peace Between People. The “A.D. 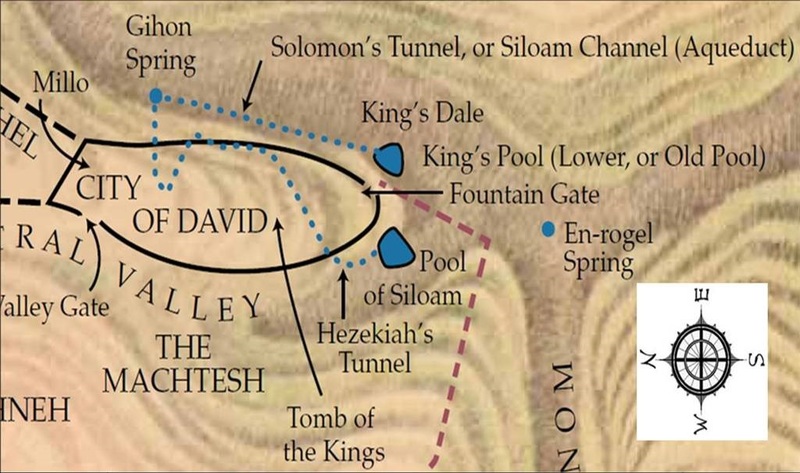 70 Doctrine” View, Interpretation, Exposition and Commentary of Isaiah 65:16-25:The New Heaven . . . 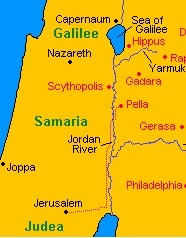 In Isaiah 65, Revelation 21 and Revelation 22, the Jerusalem that is on earth is described in a similar euphoric state to that of the Jerusalem that is in heaven mentioned in Hebrews 12:22 and Galatians 4:26. Hebrews 12:22 reads, “But you have come to Mount Zion, to the city of the living God, the heavenly Jerusalem. You have come to thousands upon thousands of angels in joyful assembly,” Galatians 4:26 also mentions a Jerusalem that is in heaven: “But the Jerusalem that is above is free, and she is our mother.” In Isaiah 65:16-25 I believe hyperbole and metaphor are used to describe the peaceful bliss of post-exilic and post-war Jerusalem so as to depict the Jerusalem that is on earth as a dark shadow of the post-resurrection euphoria and glory of the Jerusalem that is in heaven. See The Destruction of Heaven and Earth and the New Heaven and Earth Explained! As indicated in the above Preterist commentary on Isaiah 65, all the predictions in this chapter seem to accurately describe events leading up to and including Israel’s war with Rome and its aftermath. Midrash Rabbah Lamentations Proems 22. Josephus The Wars of the Jews 5.12.3. 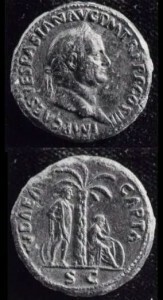 Cassius Dio Roman History 66.15. See Revelation 21: A Preterist Commentary and Revelation 22: A Preterist Commentary. Brian L. Martin, Behind the Veil of Moses: Piecing Together the Mystery of the Second Coming, (USA: Xulon Press, 2009), 355.